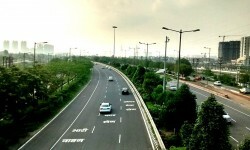 The Greater Noida Industrial Development Authority has proposed the creation of a special relief fund to bail out the stalled real estate projects of small developers. This proposal entails earmarking of Rs 1,500 crore. Meanwhile, the authority has now decided to change its land allotment policy. Once revised, allottees will have to pay 10 per cent of land cost at the time of registration of property and another 20 per cent after allotment. The remaining 70 per cent will be collected in 14 instalments over a period of seven years. 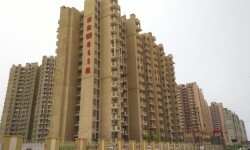 Around 6,000 homebuyers of Amrapali have asked the Uttar Pradesh government to involve state-run companies such as the National Buildings Construction Corporation (NBCC) and Housing and Urban Development Corporation (HUDCO) to take over all company projects. The Uttar Pradesh government has released Rs 65 crore for development of a civil terminal at the Agra airport. Following this, land acquisition process has started at the local level. For the proposed civil terminal, a 23.32-hectare land parcel, spanning Dhanoli and Balhera villages, was to be acquired from 215 villagers. However, so far around 16.38 hectare land of 162 people has been acquired for this purpose.